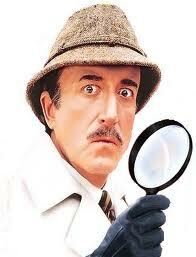 Are you feeling Clouseau-less about cricket? If you’re a regular reader, you’ll notice that on the whole we don’t spend a lot of time explaining the rules and nuances of cricket on this site. That’s because (a) we think that you can easily get bogged down by minutiae and miss the larger pleasures of both games—the premise of our eponymous book (shortly to be available as an audiobook); and (b) because you can always just Google the answer to your question or visit Wikipedia. However, it would be churlish not to offer our baseball brethren a chance to ask about strategy, nuance, and subtlety, and we’ll do our best to elucidate. You never know, we might learn something, too! So, ask away. This entry was posted in Cricket, Right Off the Bat Book. Bookmark the permalink.